Smartphones have been emphasized from being a form of communication to an entertainment device. This addiction of using our phones rapidly grows every year with more and more people being interconnected over the 'cloud'. The past 10 years have shown a welcoming growth of the capabilities our smartphones hold. As the smartphone continues to be interjected into our daily lives, there's one question to be answered: "Is there room for another form of computing?" It's clear that Google wants to be one of the first to answer this question, but will it be answered correctly? Google Glass is a device that brings the interactions you're accustomed to on your phone into a wearable piece of technology. 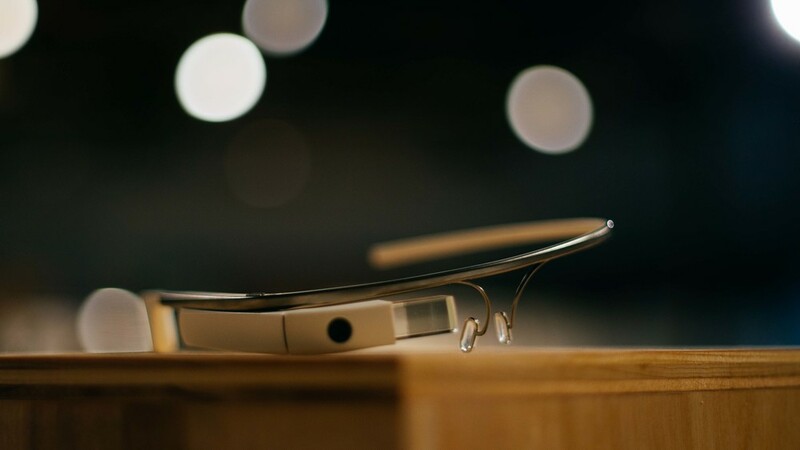 The execution behind Google Glass is reminiscent of a gadget from Q Branch. It's titanium frames extends from the left to a display, camera, and housing on the right. This housing mainly consists of a battery, processor and bone conductive speaker that's placed behind your ear. The camera and display are placed in a manner that doesn't block your line of vision. 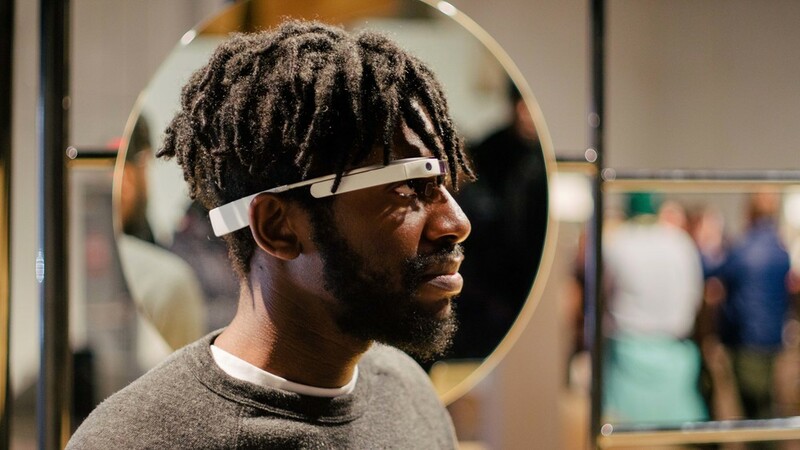 Using Google Glass isn't trivial, in fact, it's relatively simple. The display wakes up if you tilt your head up or if you tap on the touchpad. Tapping on the touchpad not only gives you the option to wake the device, but you can select content through basic finger gestures. Swiping forward or backward will let you swipe through the timeline of information given. Swiping two fingers down will take you back to the home screen, and if you swipe down you'll go back to the previous screen. These gestures let you flow through content shown on the 640x640 screen. Google wants to give you what you need before you even ask for it. This means that your current locations temperature is prompted on the screen along with an ideal route to your home or workplace. The context menu is the first thing you notice when the device wakes up. Saying "Ok Glass.." lets you perform a given function hands-free by following up with a command such as "Take a picture". You can reply to text messages from your phone and also talk on the phone along with a plethora of other things. Glass being a wearable computer doesn't negate it from being a fashion accessory. It's minimalist and gives a solid feeling when wearing it. There's a variety of colours Google offers to suite your personality — Charcoal, Tangerine, Shale, Cotton, and Sky. Wearing the device proved to be slightly comfortable with the exception of the housing on the right, which meant that when I'd swipe the touchpad Google Glass would wobble. Although the speaker features a bone conductive technology — sounds will transmit from the device into your ears — I could barely hear it in a loud setting. This is said to be revised with a earpiece attached with the latest hardware version of Glass. You can capture images with Glass via a voice command or by hitting the shutter button on the top-right of Glass. Clicking on it once will take a picture that I found 9 out of 10 times to be in focus after a slight delay. If you hold down on the shutter button Glass will automatically capture a 10-second video, but tapping on the button again can take a video until it's out of battery (usually an hour) or internal storage. As a Glass consultant told me, Google Glass usually has a day of average use before you find yourself looking for a charger. If you're constantly using Navigation and other intensive tasks I would reckon that the battery may last up to half a day. Glass is fast and intuitive. Even though I was in a loud area, it still could recognize my voice accurately. Google Glass is something you think you won't need until you use it. That was the same case for smartphones when the first iPhone was introduced. Many were reluctant in purchasing an iPhone, but months after it's consumer adoption it gradually appealed to the mainstream of cell phone users. When Google unifies the capabilities of your smartphones and eyewear at an affordable price then it has the potential to appeal to the consumer market.